Where’d that year go? Suddenly ‘tis the season to be jolly and we’re on our last bike of the year. Damn. 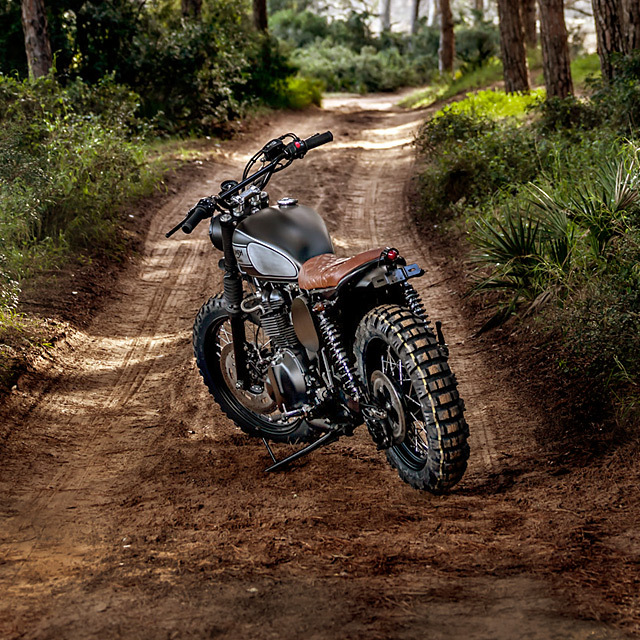 So, what better way to say ‘season’s greetings’ than with the latest build from Spain’s Macco Motors? Forget your three wise men; we’ve got a much more efficient package. 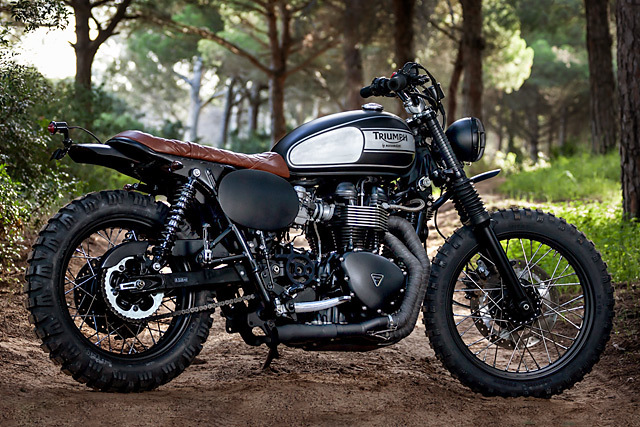 They’re called Jose and Tito and here’s their latest miraculous build – a heavenly Triumph called ‘Bonebreaker’. Jose took time out from wrapping presents and eating to fill us in on the build. 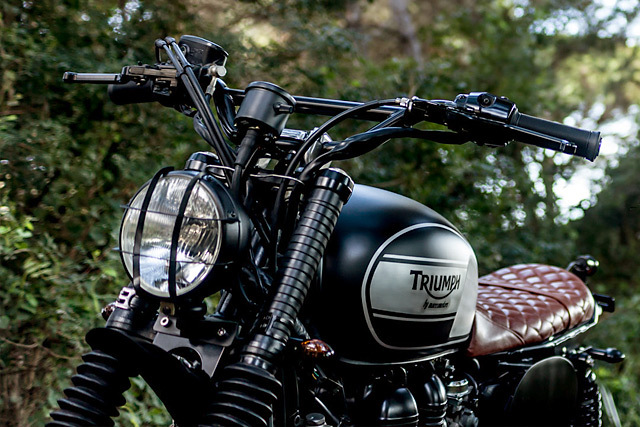 “We’re proud to introducing our latest, a 2007 Triumph Bonneville we’ve built a Scrambler with. 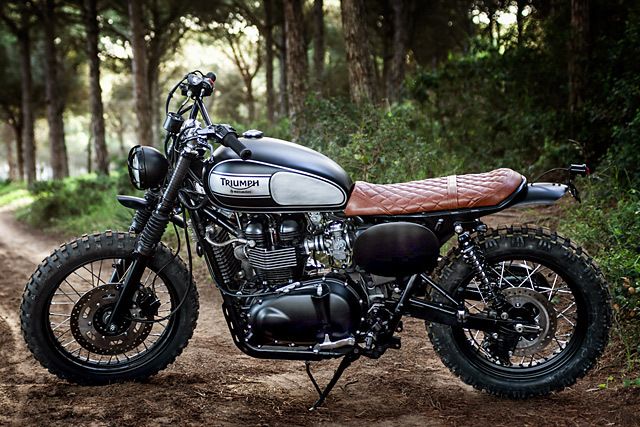 This is a commissioned bike by a Kei, a Japanese guy from Ibiza. He lives in a house in the countryside, so he wanted something to handle the dirt roads. We named it the “Bonebreaker”. “The two-into-one exhaust system was made from the standard, Arrow-style stock unit. 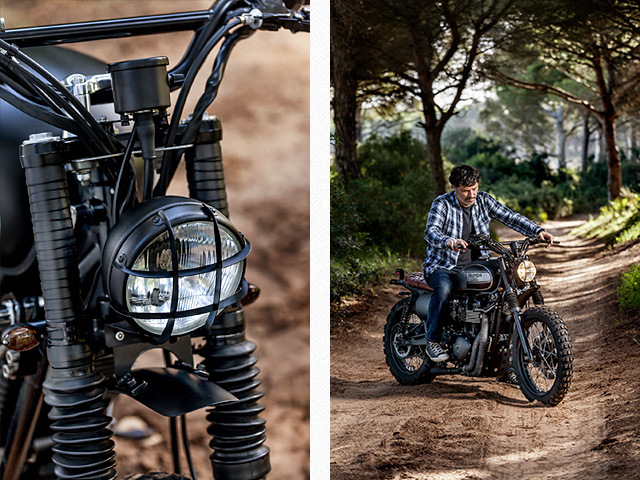 We chopped and adapted a Biltwell Javelin Mini muffler, which we think gives the build a rough, powerful look.” And we think you can trust the boys when they say that its sounds like hell when it gets angry. 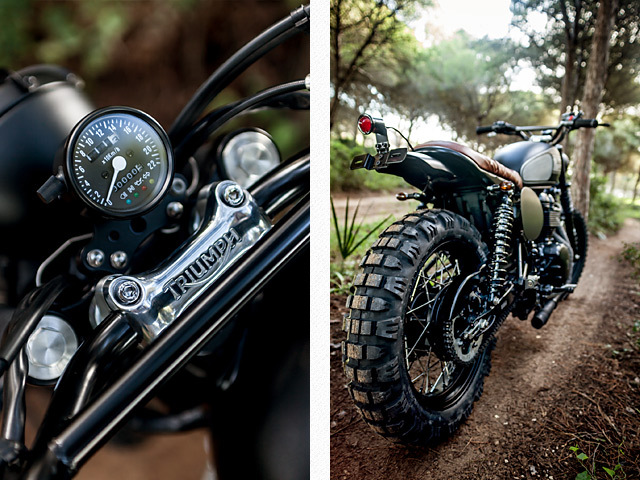 To complete the scrambler look they then mounted a Mitas E-09 110/80/19 tire up front and a E-09 140/80/17 out back. 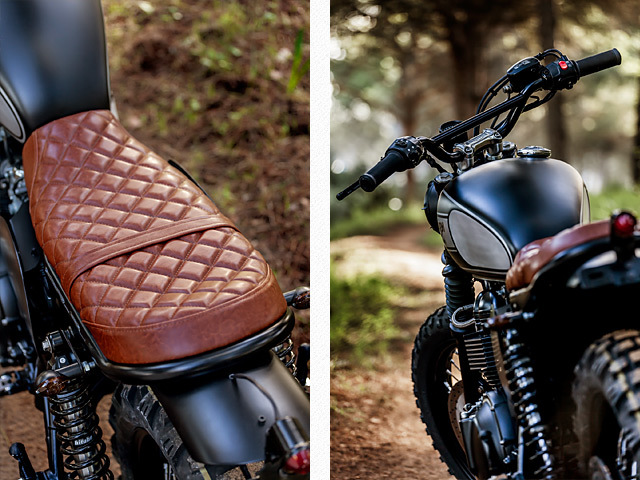 The finishing details include the modified rear mudguard, mini indicators, exhaust wrap, a new rear light, alloy footrests and a brand new matte black paint scheme on the bike.